Gorgeous Country style wicker and galvanized pots planter. 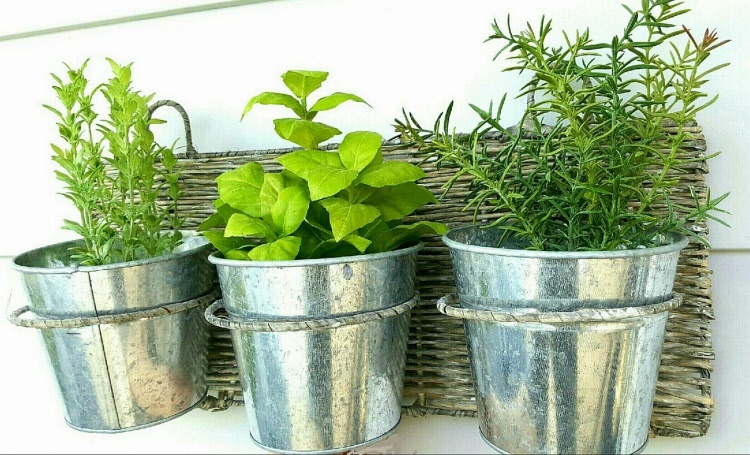 perfect for growing herbs. Can be attached to wall via hooks/ nails (not included) woven wicker backing. Measures 45cm x 18.5cm x 12.5cm. Plants pictured are for illustration purposes only and not included.